Below are just a few of the commissions we have made for customers with a very brief description. 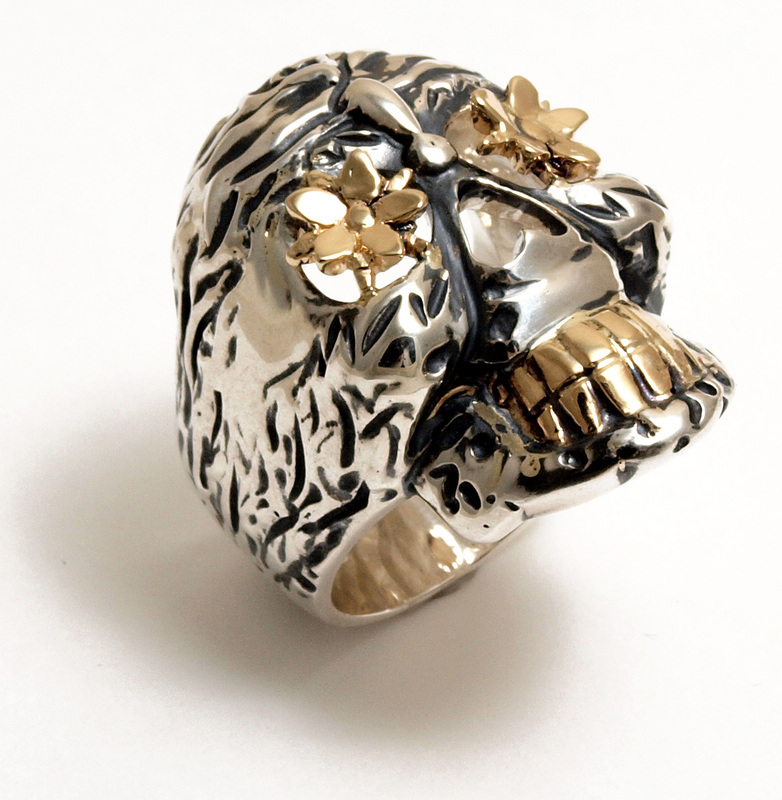 This was a chunky ring hand carved to the customers design and made in Silver and 9ct yellow gold. 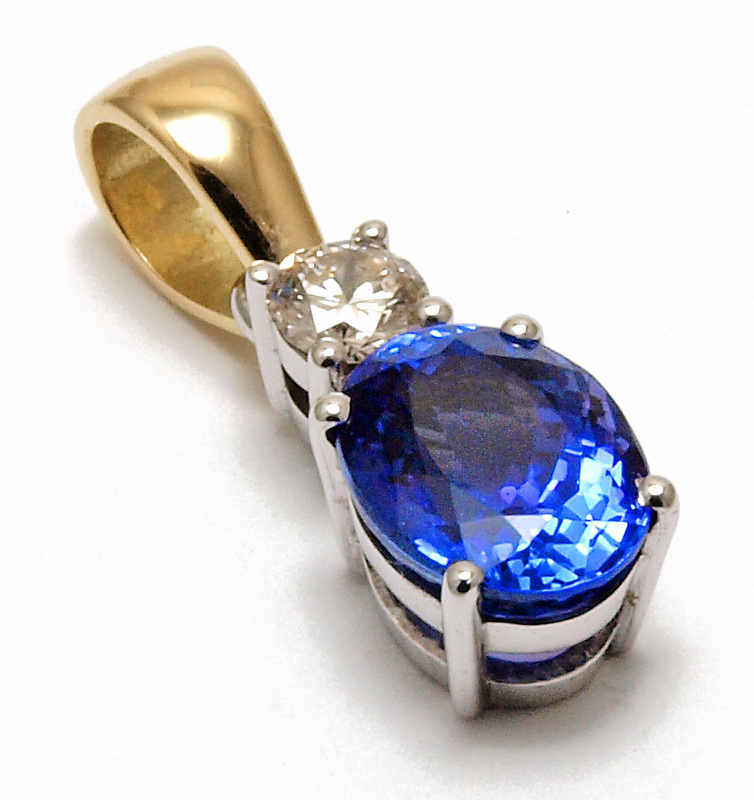 A customer brought a Tanzanite while on holiday and wanted it mounted as a pendant. We removed a diamond from an old pendant and set the two stones together in 18ct yellow and white gold as shown. 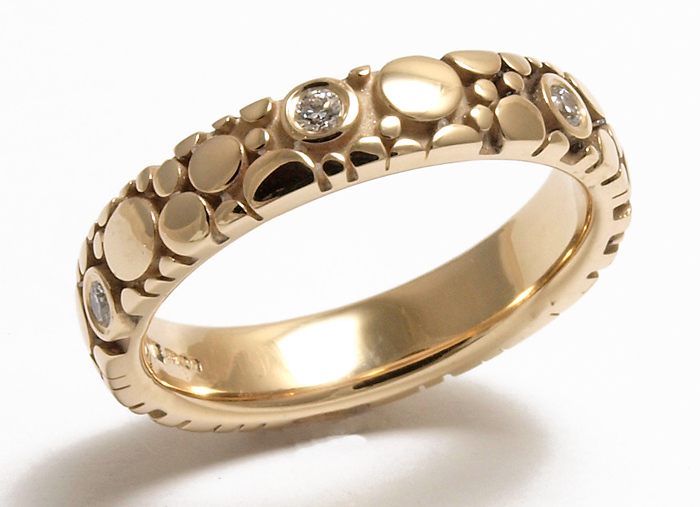 This was an amazing looking ring, which was made using CAD and cast in 9ct yellow gold then set with diamonds. 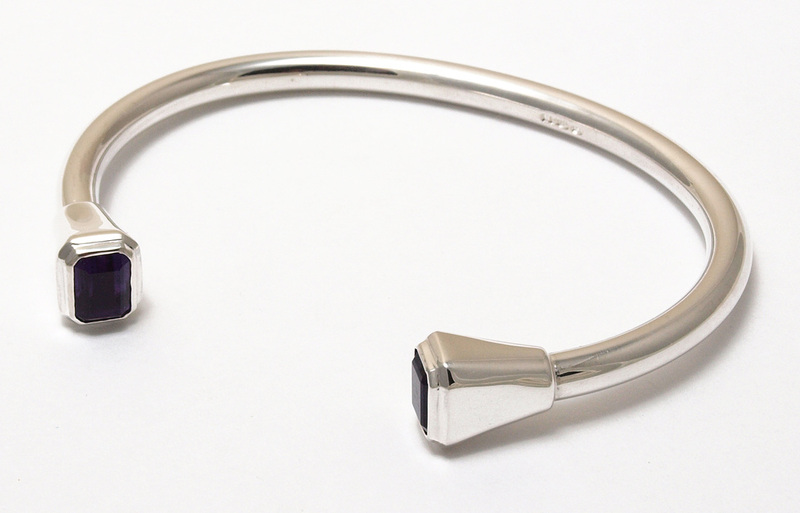 A customer had two emerald cut Amethyst stones and wanted a silver bangle made using the stones set into the ends. 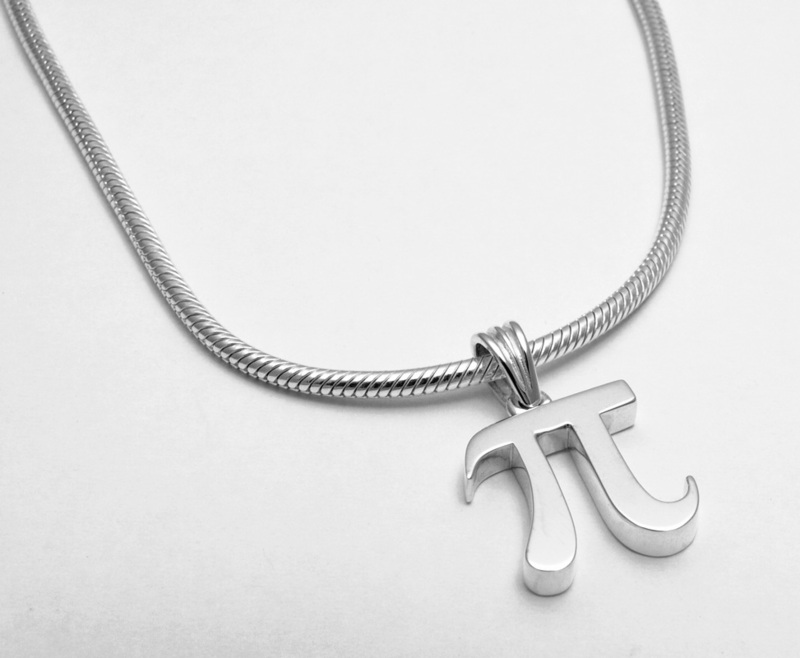 A customer ordered this silver pendant as a graduation gift for her daughter who achieved a maths degree. 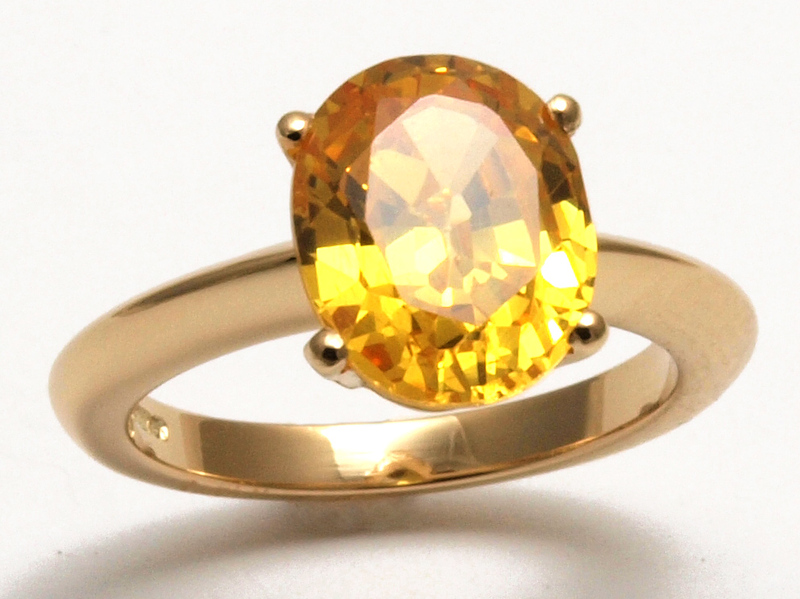 This ring was designed allowing the stone to touch the finger made in 9ct yellow gold. 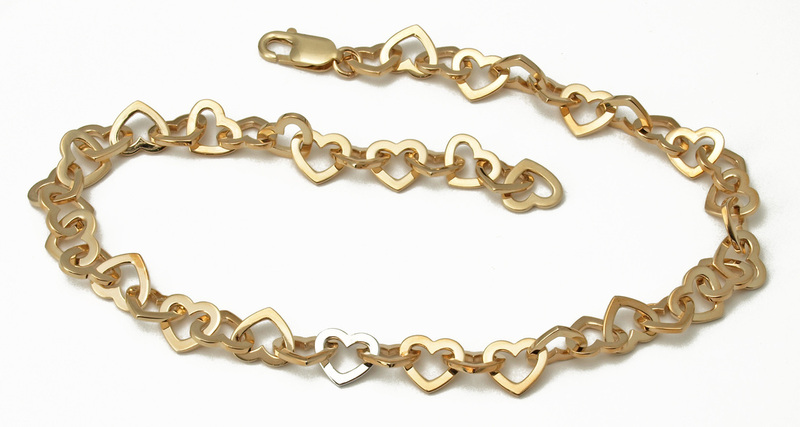 This sterling silver bracelet was made to hold a loved ones ashes in the heart attached. 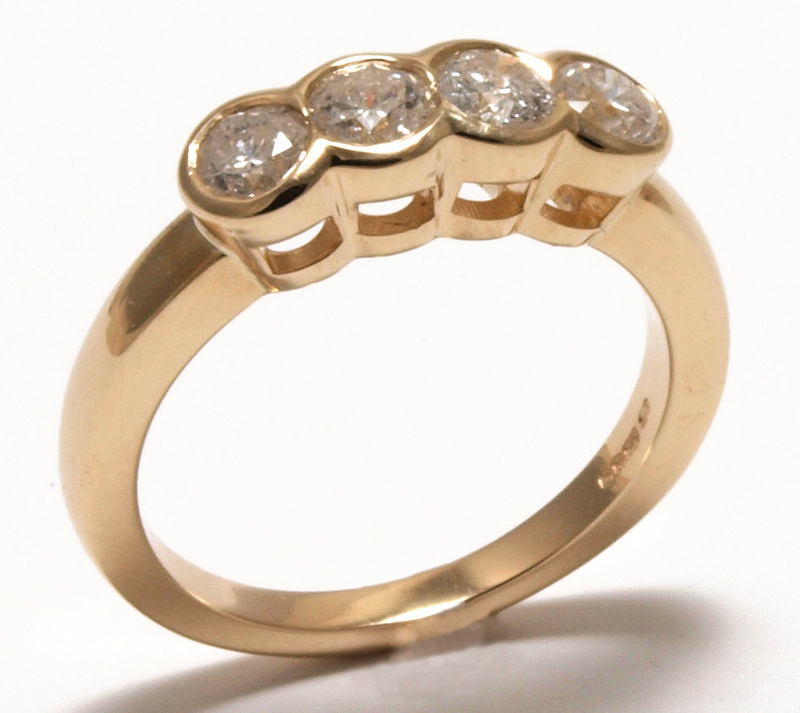 A customer wanted some diamonds removed from some old jewellery and set into a new 9ct yellow gold mount. 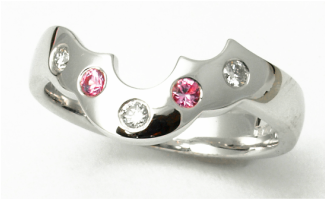 This is a popular choice for customers who have random stones of different sizes and want a modern dress ring that can be worn every day, this was made using the customers diamonds and cast in Platinum. Customer wanted her engagement ring altered to have a taller setting. 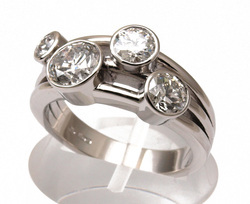 Matching engagement ring and wedding band set in 18ct white gold. 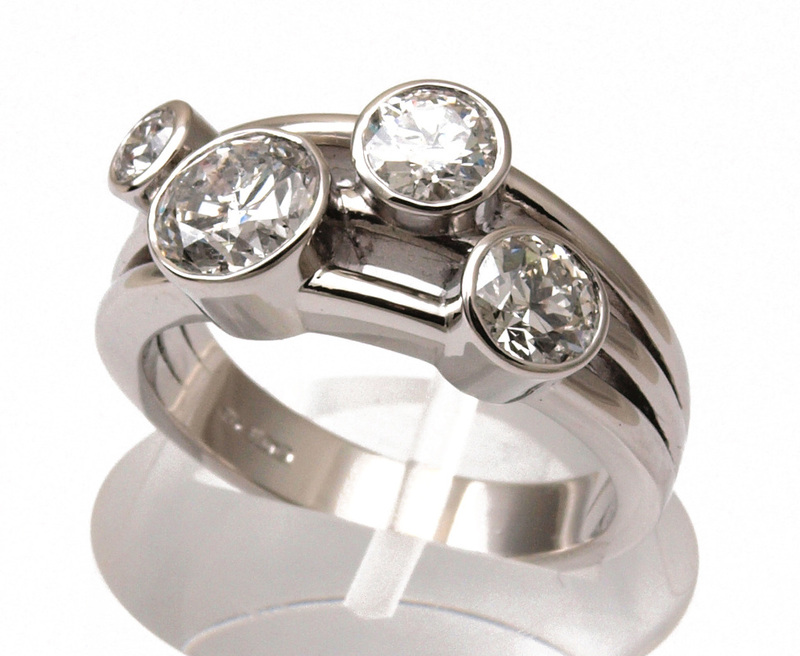 18ct White gold dress ring made with the customers own stones that were removed from an old ring. A pair of matching wedding rings cast in 18ct red and green gold. 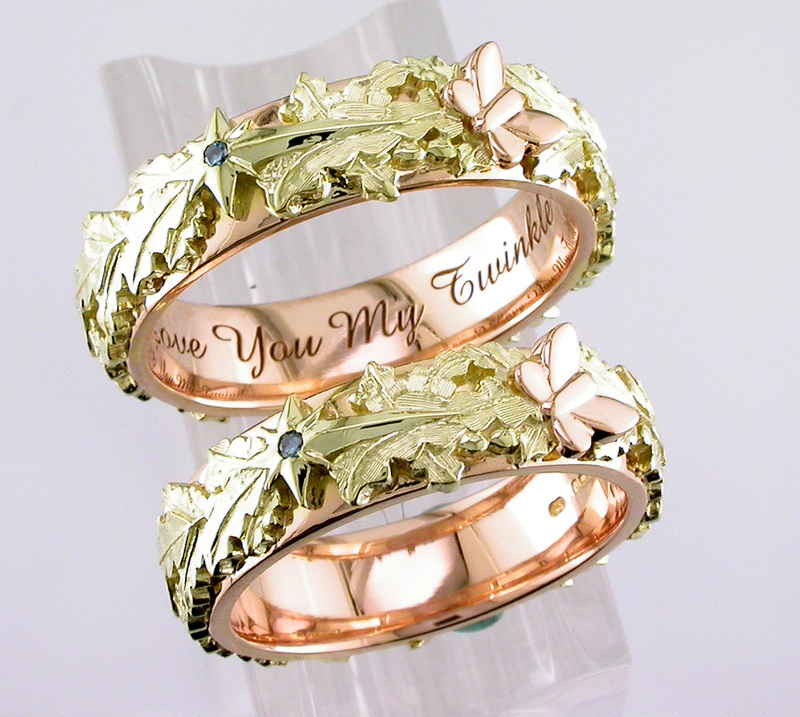 Notice the butterfly and shooting star set with a blue diamond! 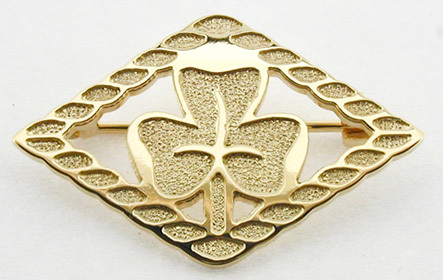 9ct Yellow gold girl guide badge made for the division commissioner now retired from West Bromwich. 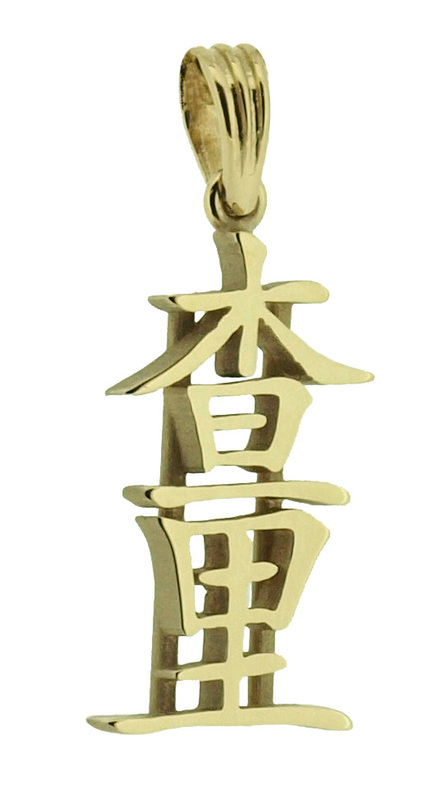 Chinese name pendant in 9ct yellow gold. 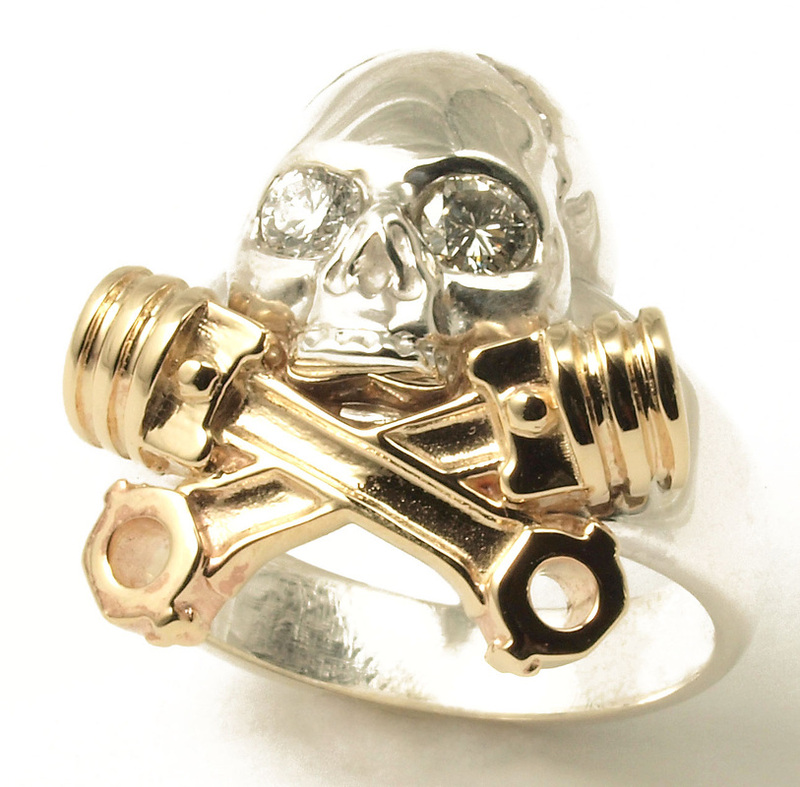 Skull & Pistons ring in silver and 9ct yellow gold set in the eyes with customers own diamonds. 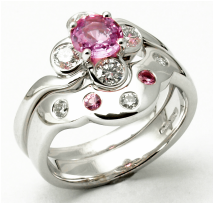 18ct White gold pink sapphire and diamond shaped wedding band to fit customers own engagement ring opposite. Customer wanted a simple plain rub over ring in 9ct White gold made to fit her own opal stone brought in from Australia. 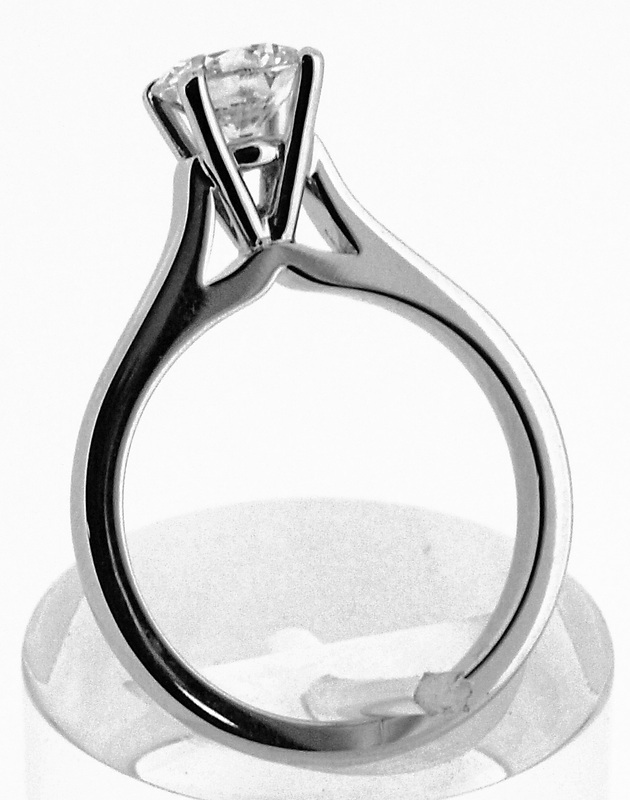 18ct White gold diamond set shaped wedding band to fit into customers own engagement ring. 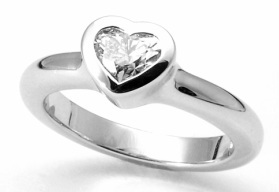 with 9ct white gold heart in the centre. 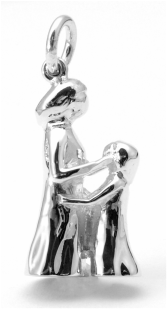 A customer wanted a pendant to symbolize the unconditional love between a mother and daughter, so asked us to make a pendant in Sterling Silver based on a loved figurine. This idea could be applied to your own design. 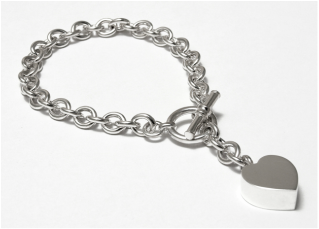 A customer brought in some scrap silver jewellery which we melted down and rolled out into a blank to make the name part, a cutting path to create the name Susan was done using CAD and then sent to wire eroding machine to cut the name and then chain added to make the bracelet. 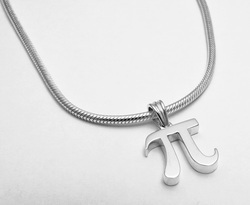 for us almost any shape can be accommodated.